Plastic Pro. The whole notebook market has been reconfigured to ultrabook designs. Wait, is it really the whole notebook market? No, since there are still representatives of a more traditional design such as the HP ProBook 650 G4. You can find out in this extensive review, if and for whom this affordable business notebook can be recommended. Business notebooks are generally not very affordable. Compared to consumer laptops, you primarily pay a premium for the more stable, robust case and the security features. But of course there is also some differentiation via the price in the laptop market for business customers. For companies that buy several thousand laptops for their employees, there is a lot of money involved, so every single Euro will count. And not every employee needs a notebook that has been optimized for robustness, since some laptops are almost only operated stationary and rarely being transported. Exactly for such use cases, there are notebooks such as the HP ProBook 650 G4, which is our current test unit: a more affordable business laptop that still brings many features that are in demand in business surroundings. Since these customers are hotly contested, is is a very competitive environment, and the competitors include well-known notebooks such as the Dell Latitude 5590, the Lenovo ThinkPad L570, or the Lenovo ThinkPad E580. 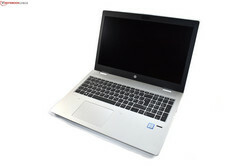 There is also an in-house competitor in the form of the HP ProBook 450 G5, which is one step more affordable. 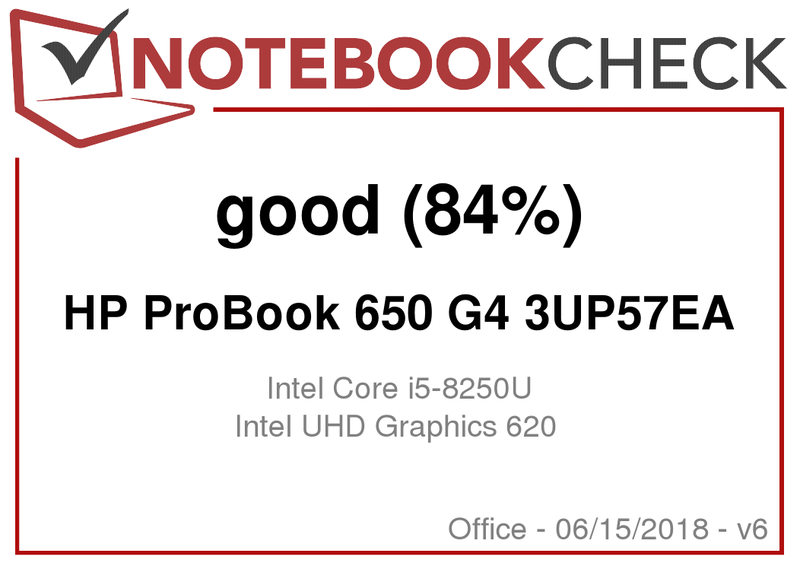 The ProBook 650 G4 is not really meant for those with a very small budget either: Our test unit with an Intel Core i5-8250U, 8 GB of RAM, and a 256-GB SSD has a recommended retail price of about 1050 Euros (~$1225; $1149 in the US) with the actual price often being about 200 Euros (~$233) lower. 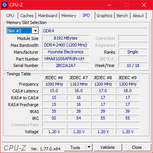 , DDR4-2400, 1 of 2 slots unoccupied, 32 GB max. 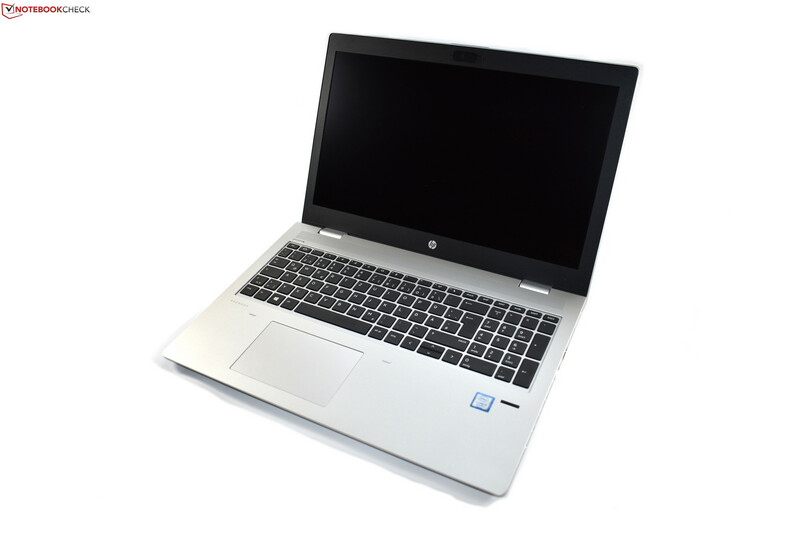 Compared to its predecessor, the ProBook 650 G3, HP has completely reworked the design. The new ProBook follows the redesign of the EliteBook-800 series with a less rounded case, and the silver color is even more dominant in the design as before. However, there are some differences to the EliteBooks in the detail, such as there continuing to be two smaller hinges instead of one large one (the maximum opening angle is still about 135°). The looks is where the similarities to the more expensive EliteBooks end, since the ProBook 650 G4 is made entirely of plastic. This does not really help with the stability, and neither does the DVD drive, even if in terms of its thickness, the ProBook ranges significantly above the EliteBooks. It is relatively easy to warp the base unit, for example. On the other hand, the palm rest is stable to a large extent, and so is the keyboard, which only has some give in the left bottom corner. 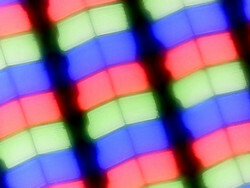 The plastic display cover is also rather weak and transfers any pressure almost directly to the display. In terms of its haptics, the case also feels very cheap. Despite being a budget device, we expect a little more quality from a laptop of this price range. 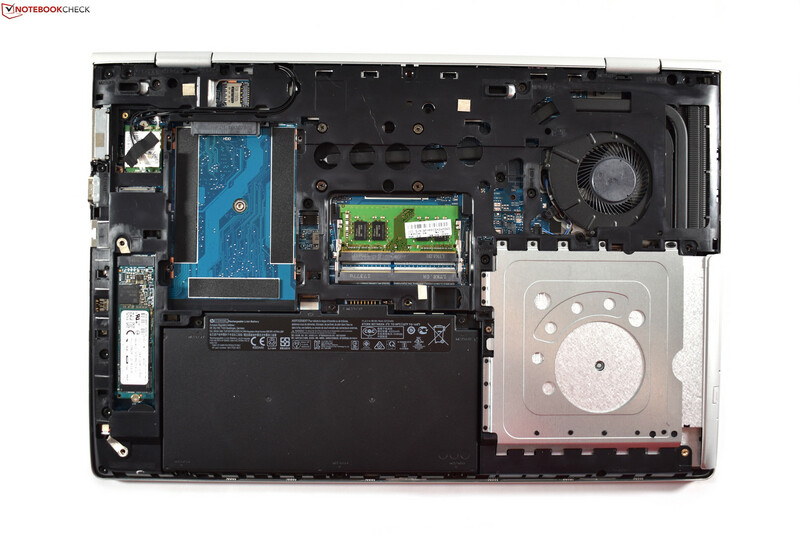 The quality of the ProBook 450 G5 is in parts higher than that of its more expensive sibling. In order to perform maintenance, you need to remove the maintenance cover which covers almost the whole bottom. After you have removed the numerous screws, loosened the clips, and taken off the cover, you get access to the working memory, the 2280-M.2 SSD, a free 2.5-inch slot, the internal battery, the WLAN card, and the optical drive. A minor complaint: while the fan is visible, it cannot be removed, since several case struts are in the way. It is rare to find an optical drive nowadays. Most users might not have any use for it anymore, but there is probably a small group of users whom HP can please with the ProBook 650 G4. 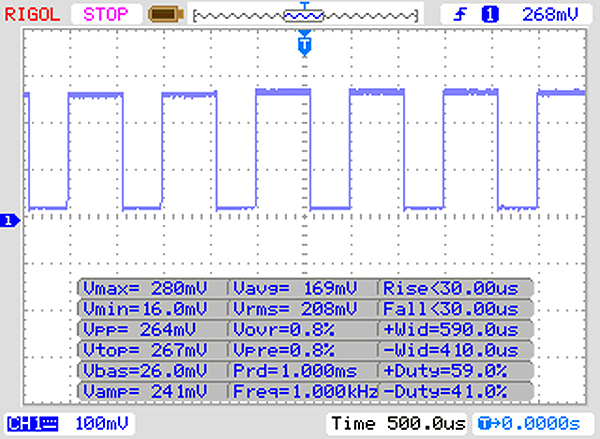 This also goes for the RS-232 Serial port which is on the right side of the laptop. While the ProBook is quite special in this regard and otherwise also well equipped, the lack of a full-size SD card slot in such a voluminous notebook does deserve some complaint. HP has only equipped the ProBook with a microSD card slot instead. Furthermore, the connections are quite close together on the right side, leading to a deduction in the rating for the connections. To a large extent, the keyboard of the ProBook 650 G4 corresponds to the keyboard that HP also uses in the 15.6-inch EliteBooks such as the EliteBook 850 G5. The chiclet keyboard with six key rows also brings a dedicated number block. However, despite the empty space on the left and right of the keyboard, this is not a full-size keyboard. While we should definitely mention that some keys are marginally smaller than in a desktop keyboard, you mostly do not notice this when using the keyboard. There is also an important difference to the EliteBooks in that the keyboard does not have a background illumination. This is very strange for a notebook that costs more than 1000 Euros (~$1167). At least the typing experience on the slightly roughened keys is good, and it is suitable for frequent typing. 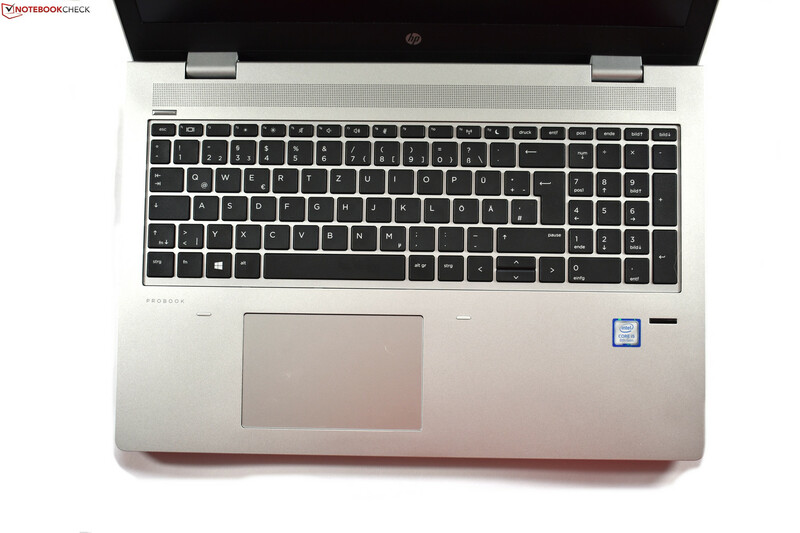 HP takes a modern path with the touchpad, since in contrast to its predecessors, the ProBook 650 G4 has a touchpad with integrated keys which is called a ClickPad. The model used here has a plastic surface with a width of 11.5 cm (4.5 in) and length of 6.3 cm (2.5 in). The sliding characteristics of the surface are good, and it is smooth enough to prevent the fingers from getting stuck. On the other hand, the click mechanics are less good, producing some clatter, and the solution with the dedicated keys was of a better quality in this respect. In contrast to the predecessor, HP does not offer a point stick, not even optionally, which is a shame, since this should really be part of the equipment of a business device. Although according to the data sheet, there are several display options such as an HD TN panel (1366x768) or a Full HD IPS panel (1920x1080) with touch, there is actually only one model available in Germany: a matte Full HD IPS display without touch, which is also used in our test unit. 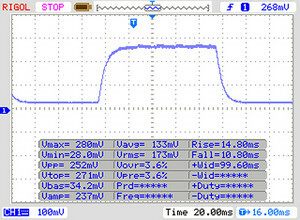 According to HP, the display brightness of this LDC panel, which in the case of our specific test unit comes from the manufacturer Innolux, should be 220 cd/m². However, we cannot confirm this, not because the display is darker, but since it is significantly brighter at 269 cd/m² on average. 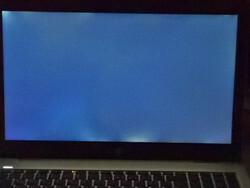 Although with this, the display is darker than the Full HD TN display in the predecessor model, it is brighter than for example the display in the Dell Latitude 5590. 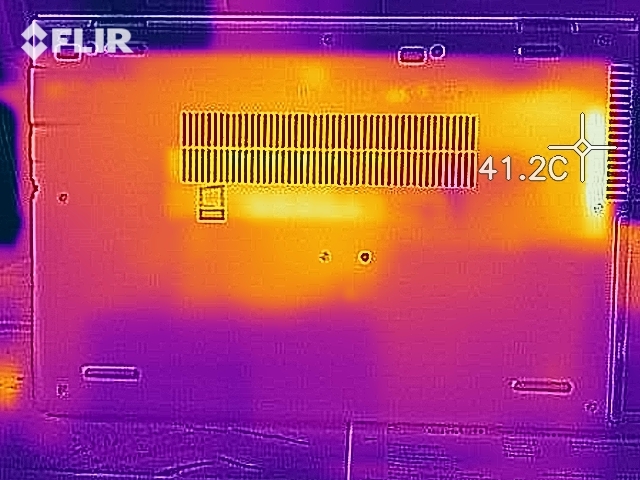 The brightness values are really the only positive points of this display. Otherwise, the measured values are very mediocre. 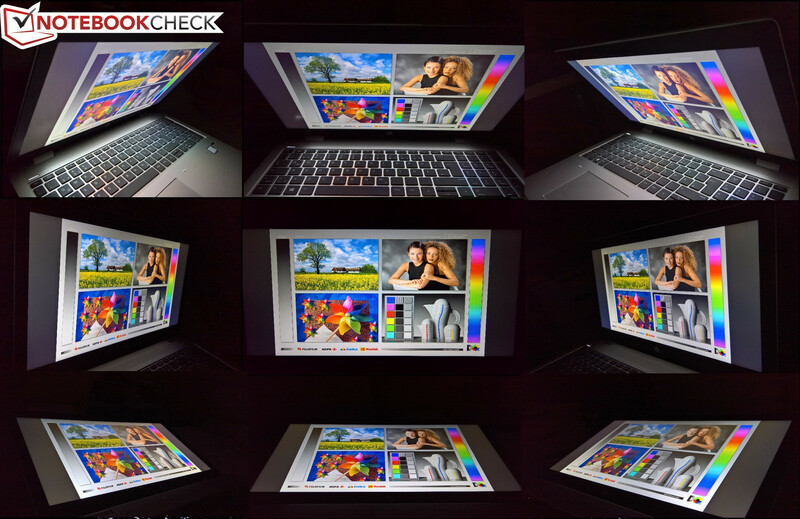 For example, while the contrast values are quite okay at 782:1, the color space coverage is very bad at just 63% of the sRGB color space, which is typical for an affordable business notebook. The ProBook 650 G4 is quite suited for outdoor usage, since the display has a matte surface and the display brightness is higher than 200 cd/m². However basic suitability for outdoors does not mean that you can use the device outdoors without any limitations, since you can only see the display contents well in the shade. At least you do not have to struggle with a bad viewing angle stability, since HP has exchanged the TD display of the predecessor model with an IPS panel. Although this panel is not perfect, it is significantly better than the display of the ProBook 650 G3 in this respect in any case. Currently there are four models listed with various vendors in Germany. The differences between the models are mainly the processor, the working memory, and the storage, with there being two variants each. 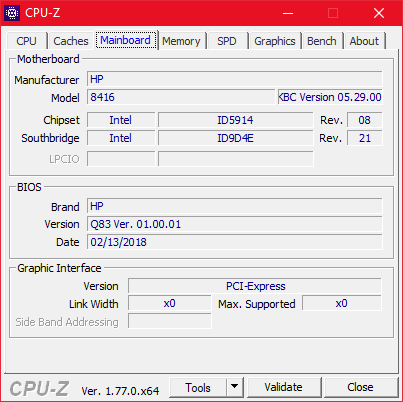 In terms of the processor for example, you can choose between the Intel Core i5-8250U and the Intel Core i7-8550U, for the storage there are the options of a 256 or a 512-GB SSD, and for the RAM you can choose between 8 or 16 GB. 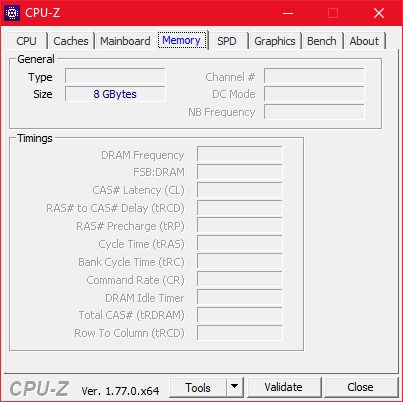 Since there are two SO-DIMM slots with one slot being empty at the time of delivery, a maximum of 32 GB of DDR4-2400 RAM is possible. The Intel Core i5-8250U is an Ultra Low Voltage processor (ULV-CPU) of the eighth Intel Core-i generation. It is ULV, because the TDP is 15 watts. 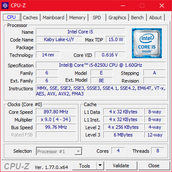 The four processor cores of this quad-core CPU of the Kaby Lake Refresh generation run at a maximum of 3.4 GHz, and the basic core speed is 1.6 GHz. You can compare it with other processors in our CPU comparison chart. In the ProBook, the processor is actually able to run at 3.4 GHz, since HP enables a consumption of a 44-watt maximum for the CPU – but that only for barely 30 seconds, after which the real TDP limit which the manufacturer has set at 18 watts is enforced. 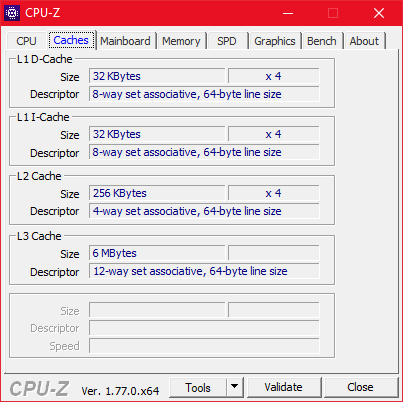 Even then, the CPU still has a clock speed of 2.6 GHz, which the result of our Cinebench loop shows well. As is often the case, the maximum boost performance is only available in the beginning of the first test iteration. 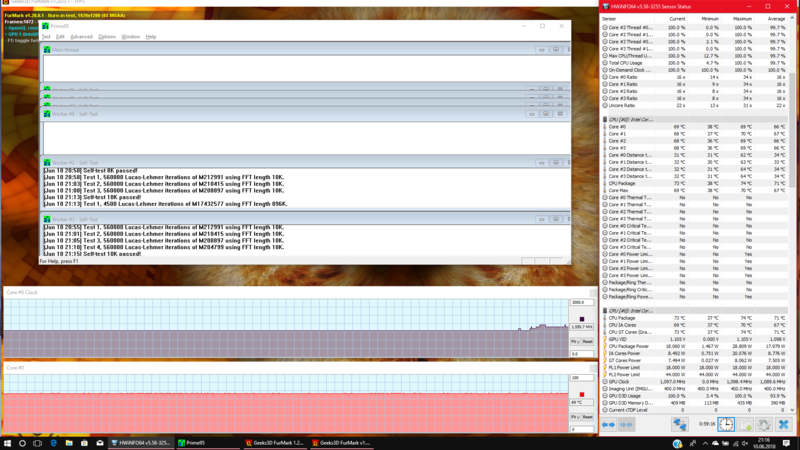 Thanks to the enabled Turbo boost, the performance of the ProBook is above average in the Cinebench Multicore test. The ProBook still achieves a good result under load. The HP ProBook 650 G3 predecessor was considerably slower with its dual-core processor. 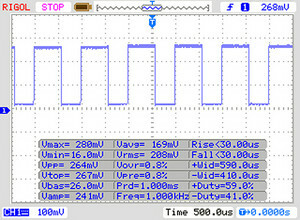 In battery operation, the CPU performance has been throttled by the manufacturer. However, you can change this setting in the BIOS, if you need the full performance even in battery operation. In everyday operation, the ProBook runs very smoothly. This also fits with the result in the PCMark8, where our test unit achieved a fine average result. In terms of storage, HP uses a Toshiba XG5 in the ProBook. This is a M.2-PCIe NVMe SSD, which has a capacity of 256 GB in this case. 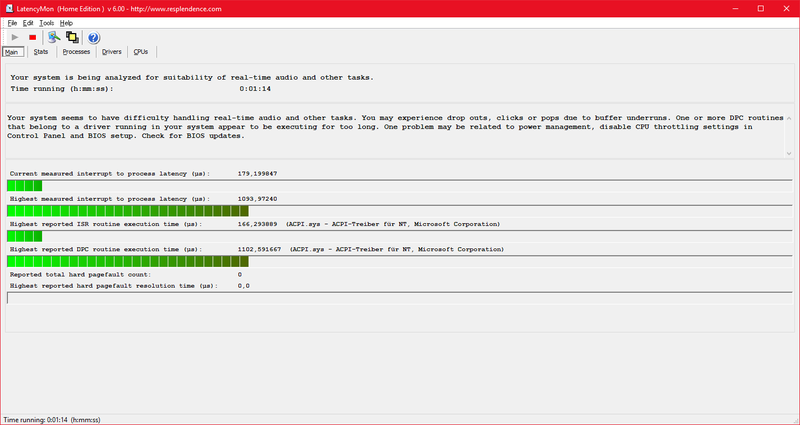 Its speed is average for a PCIe NVMe SSD. 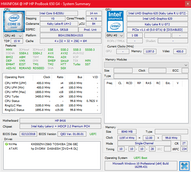 The Samsung PM961, which we tested in the ThinkPad L570 for example, is much faster. However, the SSD speeds of the other comparison devices with SATA-III SSDs can still be surpassed with the Toshiba XG5. The Intel UHD Graphics 620 is the standard integrated graphics chip in all the U processors of the eighth Intel Core-i processor generation. 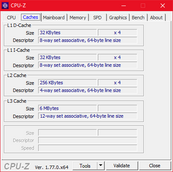 The performance of this iGPU is primarily dependent on the working memory. The ProBook 650 G4 has only a single built-in storage module, meaning that the storage runs in single-channel mode. Thus the Intel UHD 620 could achieve even better results if you added a second storage module. 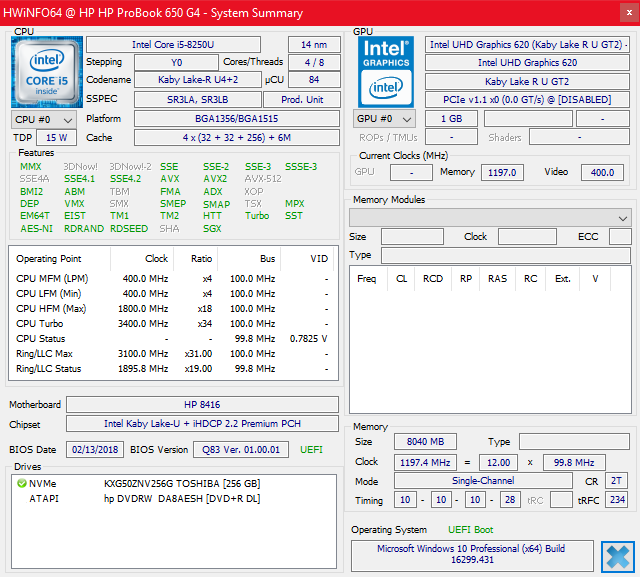 As it comes from the manufacturer, the integrated GPU in the ProBook achieves average results in the 3DMark benchmarks. Due to the limitation of the CPU performance, the GPU performance is also throttled when the ProBook runs in battery mode. However, you can undo this limitation. 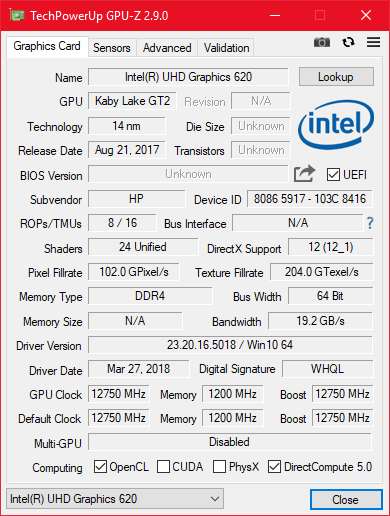 Since the HP ProBook 650 G4 merely has an integrated Intel graphics card, it is not surprising that it is hardly suited for computer games. Even older games only run in a lower resolution and detail level, so gamers should rather look for a gaming laptop. In terms of the noise level, there are more restrained laptops than the HP ProBook 650 G4. 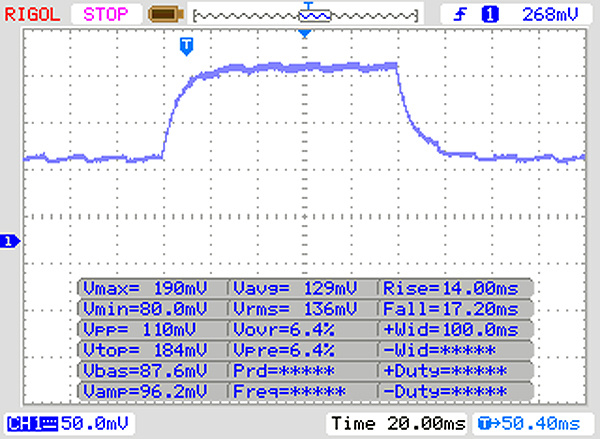 The fan often runs even during idle operation, although it remains relatively quiet then. At least the fan noise does not have a high frequency, but is rather even, so that it is not particularly annoying. We did not notice any coil whining in this HP laptop. 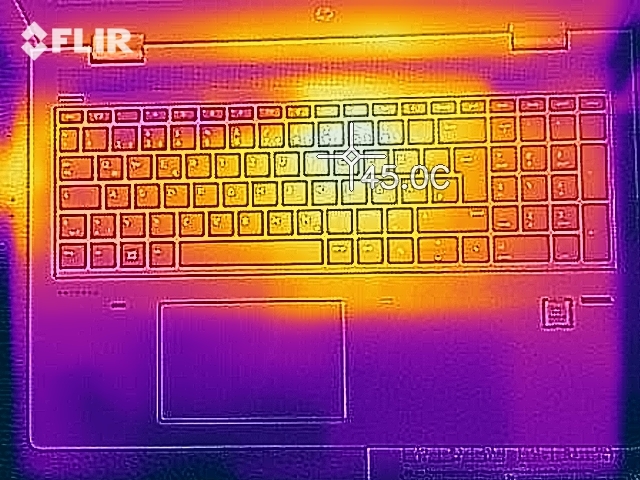 The case of the ProBook 650 G4 hardly heats up even under load. 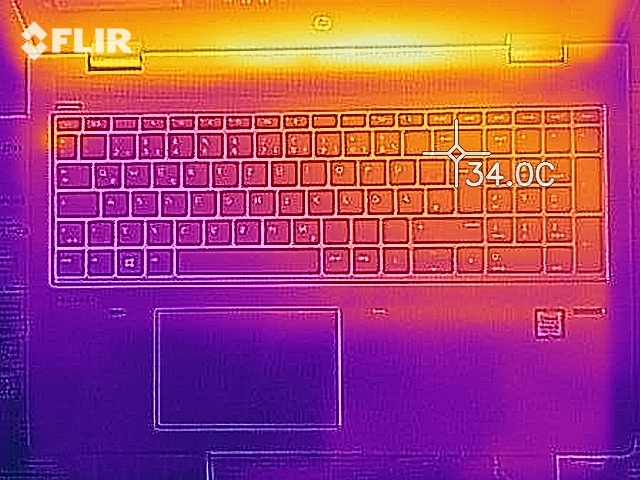 This is not surprising, if you take a look at the results of the stress test with Prime95 and FurMark: The ProBook is able to use 44 watts for 30 seconds, allowing the processor to run at 3.4 GHz. 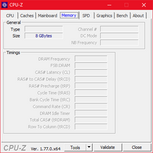 After this, the real TDP limit of 18 watts comes into effect, causing the clock speed to drop to the basic clock speed of 1.6 GHz correspondingly, since at the same time the iGPU is also used to capacity. 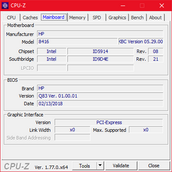 During the test, the CPU clock speed also drops to 1.4 GHz at times. 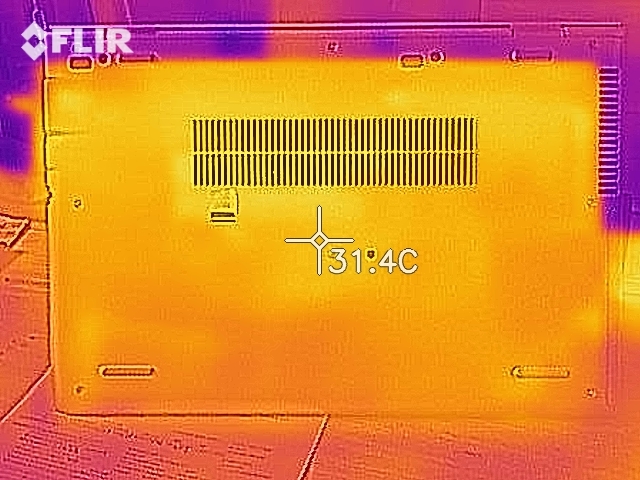 This is caused by HP's temperature management, which maintains the temperatures at about 70 °C (~158 °F) through thermal throttling. The slight thermal throttling during the stress test does not have any effect on the 3DMark11 that we started right afterwards. So there should be no limitations in everyday usage. 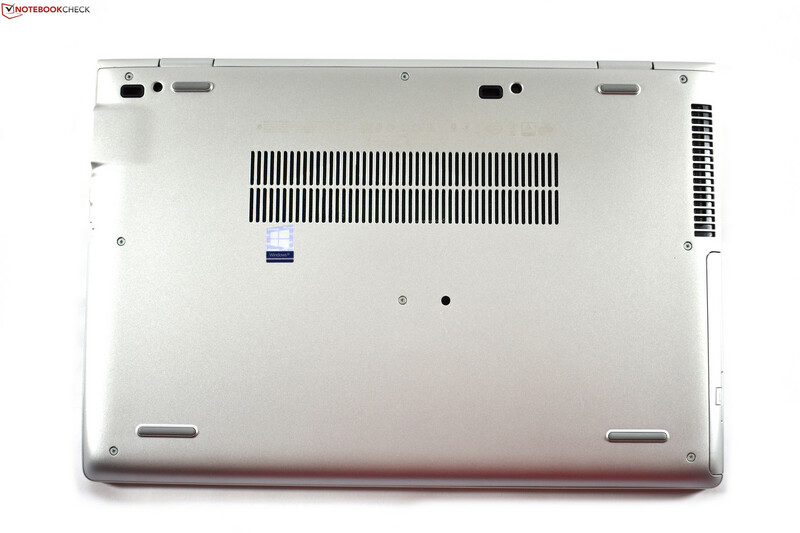 Although the speakers are hidden behind a wide grill above the keyboard, thus having an ideal position pointing upwards, we can only rate the speakers of the ProBook 650 G4 as "insufficient." The volume is generally much too low, the sound is too tinny, and as is often the case in notebooks, the bass is completely lacking. If possible, you should use external speakers or headphones, even though the output via the audio combo port sounds also slightly tinny. 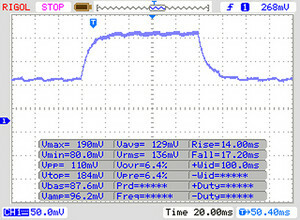 Under load, the HP Notebook ProBook 650 G4 briefly consumes 50 watts, which is more than the 45-watt power supply is able to deliver to the notebook. However, since the consumption drops quickly in the stress test anyway, this should not represent a problem. The idle consumption values range at levels typical for a laptop with an Ultra Low Voltage processor, so they are fairly low. The HP ProBook 650 G4 has an integrated battery with a capacity of 48 Wh. Batteries with a similar capacity are currently used in many notebooks, for example the batteries of the ThinkPad L570 and the predecessor, the HP ProBook 650 G3, had a similar capacity. While the ThinkPad E580 has a marginally smaller battery, the Dell Latitude 5590 has a slightly larger battery capacity. Overall, all the comparison devices range in an area between 45 and 51 Wh, and the results in the Wi-Fi battery life test also turn out quite similar. With almost 9 hours of battery life, the ThinkPad L570 is at the top, but the ProBook 650 G4 is not much worse at slightly more than 8 hours. The Dell Latitude 5590 gets the comparatively worst result, getting only a significantly lower battery life out of a larger battery. The time to recharge the battery is 127 minutes, slightly more than 2 hours. In many respects, the HP ProBook 650 G4 is an average office notebook which should still find many buyers among company customers. Its best qualities overall lie in the equipment which corresponds to more expensive business devices to a large extent, and even surpassing it in parts. Nowadays you can hardly find an RS-232 Serial connection anymore, and the same goes for the DVD drive. The equipment of security features is exemplary, since the ProBook has a fingerprint reader, a smart card reader, and even a mechanical cover for the webcam. 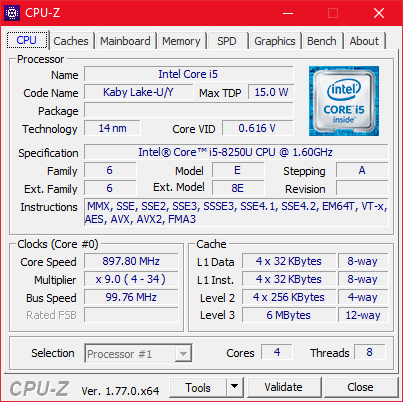 The keyboard of the ProBook is good, and the CPU performance is slightly above-average. The HP PC remains completely cool even under load. The battery life is not bad, but you have to live with a lower CPU performance in battery operation. 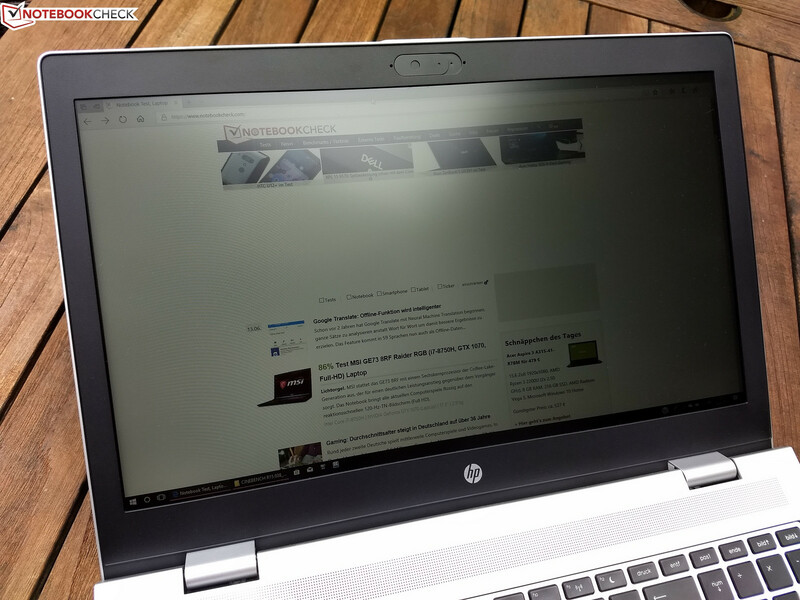 We are not convinced by the case HP is using for the ProBook 650 G4. The plastic does not have a very high-quality feel to it, and the case is not particularly robust either. We would expect more from a laptop that has a recommended price of about 1050 Euros (~$1225; street price is currently lower). Similar saving cuts were also implemented for the input devices, since the keyboard does not have a backlight. We also did not like that HP only builds-in a microSD card reader, although the spacious case should offer sufficient space for a regular SD card reader. In addition, all the connections are on the right side and some are placed too close together which could really create problems using them. 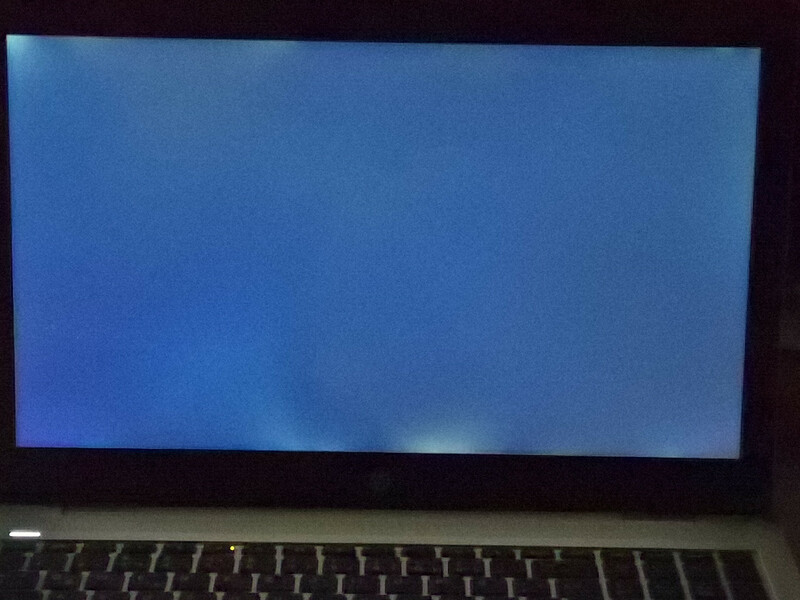 We can furthermore complain about the bad color space coverage of the display, and the fan in the ProBook which runs too frequently during idle operation also deserves some complaint. At only 12 months, the warranty is very short. And finally, we complain about the lack of a TrackPoint. The HP ProBook 650 G4: a business notebook suitable for particular use cases, but otherwise more of a bland average. Overall, the ProBook 650 G4 could still be worth a recommendation, were it not for the price. Consumer notebooks in the same price range have better displays that are also in much slimmer cases. The ProBook is really only attractive for business users who need the business-specific functions. But even for that, there are many other models which might represent a better choice, since the ProBook is quite pudgy for current circumstances.